Another challenge has wrapped up and thanks to this weekend, I was able to get 6 designs submitted. I gravitated toward a more elegant look for most, but created a few different styles as well. I really enjoyed working on these and love how they all came out. You can view all my submissions below. Voting starts tomorrow! Early this year, I had the pleasure of designing my first wedding album for an overseas event. Margaret and Stephen’s romantic wedding in Italy was simply stunning. Not only was it classic and elegant, the location added an enormous amount of rustic glamour you just don’t see everyday. The album was a gift from Margaret to her husband and she chose the fabric flush mount album from my modern collection along with a matching presentation box. Needless to say, it came out gorgeous. All the amazing photographs were taken by Lelia Scarfiotti. Here is a sneak peek into their special day. There are so many elements to get in order for your wedding day. From invitations and decor to scheduling all the vendors you need just in time, it can be very overwhelming. One thing to remember is to always have fun and breathe. Planning your big day may be stressful but just know you have people right by your side to help along the way. What would a bride do without her maid of honor and bridesmaids? These are the ladies you personally handpicked to ride along with you. So its important to make sure they look their best and feel beautiful as well. 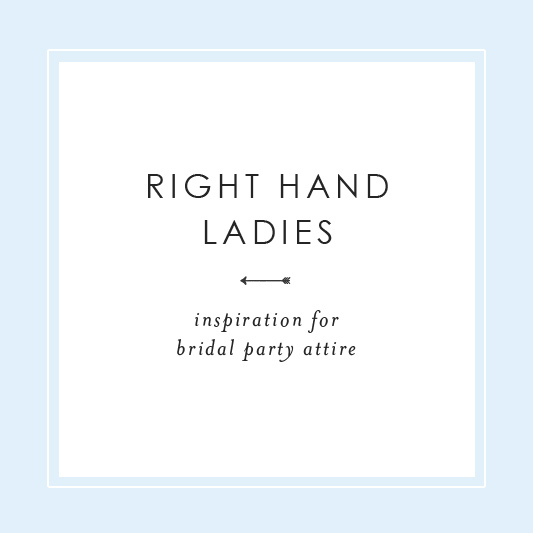 Here are some of my picks for the lovely ladies in your wedding party. I think it comes down to being comfortable, having the piece fit well, and not ending up costing tons of money. Anything easier on the pockets during an event such as a wedding will help out for sure. Hope you get inspired. Enjoy! For a more casual garden, nature inspired wedding, these would totally fit the bill. Just because your event is not fancy doesn’t mean it won’t be elegant. Take cues from mother earth and explore florals, pastels, and flowy garments that are soft and delicate. These next picks I found at Ruche, BHLDN, ModCloth, Free People, and M&S. Having a boho styled wedding incorporates natural elements but has a more earthy feel. Think dresses with layers of fabric, soft and flowy pieces, longer styles, and more handmade elements. Free People is hands down one of the best shops to look for this style of clothing. But I have found some other cute options at ModCloth and Anthropologie. More upscale weddings with an elegant feel, should incorporate a more streamlined style. Simple pieces with beautiful fabrics that really make a statement. Same style is also popular in prom dresses – teranicouture.com/collection/prom-dresses-2017/. Maybe a little shimmer here and a touch of glam there, but not overbearing designs. Here are some of my favorites I found for all seasons from BHLDN, JCrew, M&S, Ruche, and Anthropologie. I know the bride is a main focus of the wedding, as she should be, but there are so many other important elements that are a part of the overall picture. I upsets me to see a bride who looks stunning and then bridesmaids who just seem uncomfortable and unhappy. They need attention as well. Just as much as the groom and his groomsmen. The bridal party should pop off the background of the wedding, meaning the overall style and theme of the decor as well as the natural setting should be a perfect setting for you all to shine. Don’t lose your mind shopping endlessly for the perfect dresses and outfits. Besides local shops you always have the internet which comes with being able to try things on in your own home where you are more comfortable. I think that pretty awesome. And even though you have plenty of options where you are from, checking out places in other countries can sometimes really pay off, like the shop Marks & Spencers I included in my picks. You might be lucky to find something no one has seen before and find special deals on garments that might be pricier where you are from. The possibilities are endless.